A British study published this year that questions the usefulness of annual screening mammography for women age 40–59 doesn’t take the latest technology into account, says Jason Marengo, M.D., oncoplastic surgeon at NorthBay Healthcare in Fairfield. 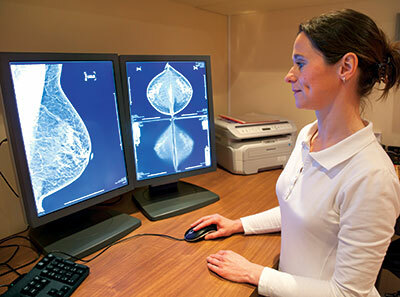 Digital mammography actually improves detection of cancer in dense breast tissue by up to 70 percent, says Dr. Marengo, noting that as women age, their breasts usually become less dense. Mammography has been found in multiple studies to be an effective tool to screen women at risk and improve their survival from breast cancer. High quality mammography, on average, is able to detect breast cancers significantly smaller than what can be detected by a physical exam performed by a clinician or a patient. “Finding breast cancer at an earlier stage and size using mammography not only has a survival advantage. A smaller cancer may require less radical treatment,” explains Dr. Marengo. The NorthBay Cancer Center has been giving its patients the STAR treatment since May 2014, in collaboration with a national program. Survivorship Training and Rehabilitation, or STAR, ensures cancer patients receive quality care long after initial life-saving treatments have ended. Patients are referred to the STAR Program by their NorthBay oncologists, whether they are in remission, living with cancer or cured. A survivorship plan is created to improve their daily function and well-being.